Did you know that the average RV is driven about 5,000 miles every year? This great distance can really rack up the gas money, but there are a few tips and tricks you can employ to improve your RV miles per gallon. You can improve your RV gas mileage by choosing a smaller rig, keeping up with your RV maintenance schedule, modifying the way you drive, and planning wise travel routes ahead of time. In this article, we’ll elaborate on each of these tips that you can use to improve your RV mpg. If you’re a seasoned RV traveler, you might be familiar with the term Gross Vehicle Weight, or GVW. This term is used to define the total weight of your RV, its contents, and any additional trailer or vehicles you may be towing. It’s a little known fact that the gross vehicle weight of your RV, supplies, and towable toys has the potential to greatly impact your RV gas mileage. How Much Does it Cost in Gas to Drive an RV? What is the Standard MPG for each RV Class? What RV has the Best Gas Mileage? How Much Gas Does an RV Hold? Is Diesel More Fuel-efficient than Gasoline in an RV? What is the Best Way to Save on Fuel in my RV? If you’re planning a vacation or long road trip, it’s always wise to calculate expenses beforehand so you’re not dealing with any unexpected surprises as far as your budget is concerned. If you’re wondering how much gas money you’ll need for your upcoming trip, use this formula to calculate an accurate price estimate. Check your manufacturer manual to find out the average gas mileage for your particular RV. If you bought your recreational vehicle by choosing what RV has the best gas mileage, then you may already have this information handy. You can also find a good guess in the motorhome gas mileage chart we’ve included in the beginning of this article. Find out the average cost of your nation’s gasoline by the mile. You can find this information with a quick Google search online. Map out your trip and determine the total number of miles, there and back. Divide the total amount of travel miles by your RV mpg and multiply that number by the average cost of gas per gallon. RV Miles Per Gallon: What is the Standard MPG for each RV Class? While the standard RV will average about 10 miles to the gallon, the size of your RV can have a positive or negative impact on fuel economy. As illustrated by the chart below, the larger the rig, the more gas it consumes. Larger RVs (class A) will consume the most fuel. The average range for this type of motorhome is 8-13 MPG. The van style class B offers the highest range with 18-20 MPG. Smaller class C’s can provide a better rate of 10-15 MPG. Opting for a diesel-powered engine in any size could give you as much as a 30 percent boost in fuel economy compared to its gas engine counterpart. Not sure what RV has the best gas mileage? The best gas mileage RV is a class C, as we pointed out in our motorhome gas mileage chart above. The average class C motorhome gas mileage can range anywhere from 17 to 22 miles per gallon. The amount of gas that your RV can hold will depend on whether it runs on diesel or gas. The typical diesel RV comes equipped with a 90-gallon tank. The average gas-fueled RV can usually hold up to 80 gallons. 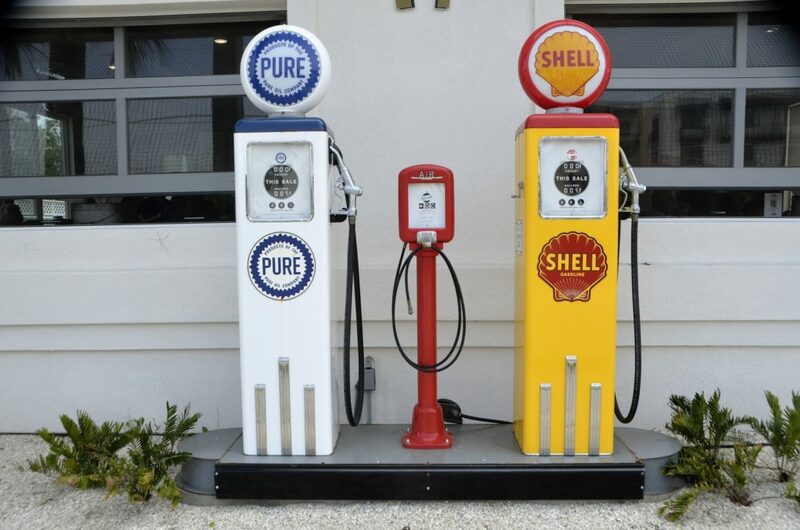 You can bet on a more fuel-efficient vehicle when you opt for diesel vs. gas. The average diesel engine has the ability to convert nearly half of its fuel energy into mechanical energy, which ensures a longer life and better handling. Although the cost of diesel fuel has risen in recent years, diesel models often require less fuel when compared to traditional gas-fueled RVs. The specific gas mileage of a diesel RV will depend on the type and size you’re choosing, but according to this extensive comparison, a class A diesel RV typically gets an average of 10 mpg. The best way to save on fuel for your RV (other than the tips we’ve already mentioned) is to invest in a quality fuel economy chip for your RV. These nifty little chips range in price and capabilities, but they certainly give you a great bang for your buck. These devices have the power to greatly improve the engine performance of your vehicle by giving you a myriad of driving options to choose from while on the road. In this article on RVLife, one couple shares their personal experience with their fuel economy chip. The device let them choose from one of six different driving settings at any given time. These settings allowed them to increase horsepower at various magnitudes as well as run their engine at a high idle. Did you know that a dirty air filter can decrease your gas mileage by up to 10 percent? Even that pales in comparison to a faulty oxygen sensor which can decrease your gas mileage by 40 percent. Using the correct grade synthetic oil can also have an impact on your gas mileage. There are more maintenance factors to consider including engine tuning. This might seem like a lot to keep in mind, and for most people it is. Unless you have spent significant time under the hood of a car or under a lift in a shop, it is usually best to let professionals handle RV maintenance. Regularly check your service and maintenance schedule and go in as soon as you are due for service. Not only will it decrease your chance of breaking down or having serious engine problems, but it could also give a serious boost to your gas mileage. The one exception to that rule is tire pressure, which you will need to check regularly yourself. Check your tire pressure even when your tire is not looking low; even small reductions in tire pressure can decrease your motorhome gas mileage. There are few extra helpful pieces of information you are going to need. When planning your trip, you will want to research RV maintenance shops that will be along your route. Make a list of all the shops you find and be sure to include important information such as: phone number, address, and mark them along your trip map. If you know that your RV will be due for maintenance on your trip, you will need to call ahead and make any necessary arrangements before hitting the road in your RV. Bad news: I am about to tell you how to drive. I know, you don’t even let your spouse do that, but I promise these are just small tweaks. And even though they are small, these adjustments can have dramatic results when used together. First: it’s important to use your cruise control. Accelerating and decelerating are generally bad for gas mileage, and cruise control keeps you doing that as little as possible. All of us think we have a steady foot, but no foot is as steady as a machine that keeps your vehicle at exactly the same speed at all times. At low speeds, you can’t use cruise control, but you can accelerate slowly and evenly to ensure you use as little gas as possible. Second: spend as little time idling as possible. Think of it this way: Every second you spend idling is a second in which you are using some fuel and getting zero miles to the gallon. Yes, you use a little extra fuel when you start your RV up, but generally, it’s better to shut off your engine if you are going to be idling for more than a couple minutes. This is especially true if your RV has a gas engine, as those use more fuel to idle than a diesel engine. Third: travel light. I know it can be tempting to pack your entire closet and garage into your RV, just in case, but that extra weight brings down your gas mileage. Regularly go through and see if you have anything stored in your motorhome that you don’t really need to be carrying around with you. You will be giving up a little convenience for a lot of savings in gas money. Fourth: drive a little bit slower. For the vast majority of vehicles, optimal gas mileage is achieved around 60 miles per hour. For every 5 miles per hour faster than 60 that you drive, your gas mileage decreases by up to 7 percent. The way you handle your RV can have a big impact on fuel consumption, which might make it more than worth it to adjust some of your driving habits. Rapid acceleration and braking can lower your gas mileage by 15 to 40 percent. Driving at higher speeds will reduce fuel economy. Running electrical accessories, such as air conditioner, can decrease fuel economy by 5 to 25 percent. A little bit of planning will go a long way toward saving you money on gas. Driving in traffic is one of the best ways to kill the fuel efficiency of your RV. Plan to drive as much as possible during non-commute hours and you will save yourself some money in addition to preventing a lot of headaches. When planning out your route, it is helpful to have a map that you can markup to note where rest areas, maintenance shops, food places, and gas stations are located. The best part of route planning is marking all the stops on the way to your final destination that you will want to stop and see along the way. Having a backup route will be helpful for saving on gas and time just in case unexpected circumstances arise. On your map be sure to mark as many alternate routes as you would like. After you have marked alternates routes, you can add all possible stop locations like you did for your main route. While you are planning, also try to avoid routes with a lot of stop signs and traffic lights — and take advantage of pit stop research tools to get the best prices possible. If you really want to plan the best route, you can even figure out which gas stations you will go to. You can save money by finding the cheapest gas on your route, but if you want to save money, in the long run, make sure you stop at reputable gas stations. They have additives in their fuel that helps your vehicle to run clean. This will reduce engine build-up and improve gas mileage over time. With these steps in hand, you are ready to get the best mileage out of your RV. Get the best gas mileage you can to stress less and enjoy your motorhome more. If you’re looking for additional ways to improve your gas mileage, we recommend shopping around for a quality fuel economy chip. For more ways to save on the overall price of your RV, learn about our RV Loans and Camper Financing at Southeast Financial.